The advertisement I am sharing here has about 2 million hits on you tube….. I see it going viral now on Facebook…. Many people liking it and commenting “what a great Idea….” I watched it and instead of liking it I felt so Bad…. Yes I mean so Bad…. no nothing against the company or the advertisement….. 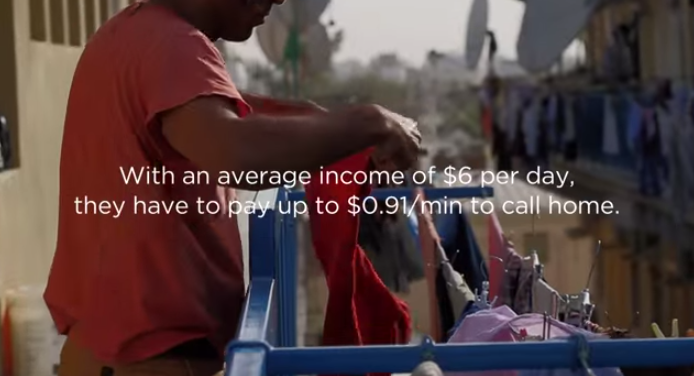 I am happy that seeing that advertisement many people will now think how life for $6 per day is….. These are people who have risked everything in life and moved to these so called desert paradises and work for decades together in meager wages ($6 per day now as the Video says)…. So low a wage that it ensures that they never have enough to bring their family to stay with them there or take a vacation and go back home every year… it is a dark symbol of modern slavery for many people…. six, ten and even fifteen people living in a cramped up room feeding on memories of happy satisfied family members back home in India, Pakistan, Bangladesh and Nepal…. In many of these countries the employers also hold on to the passport of the workers forcing them to be at mercy of the employer to travel outside the country. even if it is visiting their family back home for an emergency or a personal need.. I personally know of people whose life have shattered as for silly reasons where in the employer does not allow them to travel…. If this is not modern day slavery, what is it……? A passport is a property of the country you belong to and the person who has the rightful possession to it is the individual in whose name it is issued…. which makes this barbaric practice illegal in my opinion….. I just searched on the net to see what people say about this and I was shocked to see this comment from some idiot who feels this rule is good…. This is what the moron had to say “it is good for employer to keep passport because of security stuffs and they will behave proper”….. Behave..? what the heck does that mean… a demeaning mentality that makes one treat other in a repulsive sub human manner…..
Next time when you visit one of these places…. much sought out destinations to relax in beaches with a martini…. as you live in the large luxurious hotels, visit and spend lavishly on the huge shopping malls… don’t forget to remember…. remember that there are lives beneath all these glitter…. lives whose existence is buried in making all the glitter shine brighter at night…. lives where blood and sweat is cheaper than water….. lives where dreams have become memories locked in crowded single rooms for decades…. lives that have slowly become invisible….. remember that…. look around and see in the eyes stories that their dry lips cannot speak in words…. be considerate…. 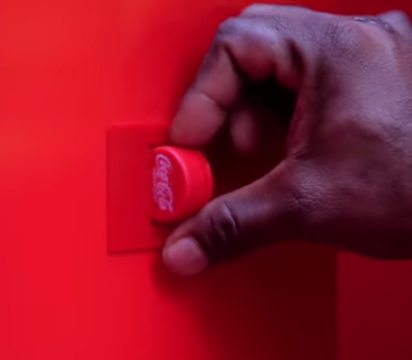 I appreciate Coke for making this video…. as it brings a message out…. that there are so many who are paid below what they should be…. but sorry I cannot like the video…. because what comes into my mind is the life beneath all the glitter….